Trimming your beard is one thing, but grooming it is another. Most people just seem to trim their beard but the one who grooms it seems to stand out. That’s why beard grooming is an important aspect of every man’s life- especially the one who wants to get ahead! But for a perfect grooming, you need a perfect trimmer. That’s where BaByliss Beard Trimmer comes in. 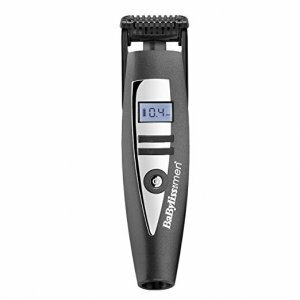 It’s just a fantastic trimmer with loads of features which are really hard to find on any other trimmer in this price range. First of all, the trimmer has an ergonomic design which makes it easier to trim and allows you to get a perfect trim. Secondly, it comes with an Advanced Contouring Floating Head which tracks the curves of the face for a comfortable and accurate trim. Precision Engineered Cutting Blades give you a sharp and perfect trim. It also comes with Precise Motorized Length Control with precise 0.2 mm incremental changes. 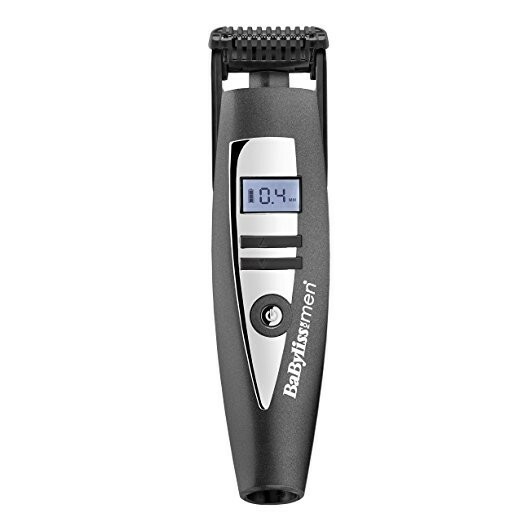 The trimmer also houses an LCD Display which shows the battery status and the length setting. You can flick back the comb guide to the edge and give your beard a final touch. The BaByliss iStubble+ Beard Trimmer comes with a powerful battery which gives you a trimming time of 45 minutes on a 90-minute charge. It also supports both cord and cordless use which provides you with more versatility in styling. Now that we have discussed a lot about the product, let’s summarize the pros and cons of the BaByliss iStubble+ Beard Trimmer. Ergonomic Design for a comfortable trimming experience. Precision Engineered Cutting Blades for a sharp and precise trim. Skin-friendly comb and precision blades prevent itch or irritation. Advanced Contouring Floating Head which tracks the curves of the face for accurate and comfortable trimming. Precise Motorized Length Control with 0.2 mm incremental changes. LCD Display which displays the selected length setting and current battery status. The comb guide can be flicked back for a detailed final touch. It supports both cord and cordless use for more versatility. The trimmer houses a powerful battery which gives you the runtime of 45 minutes on a 90-minute charge. Probably not the best build quality out there in this price range. Finally, I would say that apart from the average build quality, this product provides a lot of incredible features which are hard to find in any other product out there in this price range. So if you can compromise a bit on the build quality, then should definitely go check this product out on Amazon. This is a very hard to beat product and is definitely a Value for Money Product!!! Poor value due to the short battery life we have found in so many of the shavers on test. But it seems to do trimming of shorter beards better. It looses on the ergonomics as its not designed for nasal hair or detailing. At this price band some shavers have this feature. Ergonomics did score well though due to the digital adjustment. If you are looking for something to do a basic length trim then this should be considered.